The acting of Korean actor Lee Jang Woo in Glory Jane is receiving praises from the viewers. 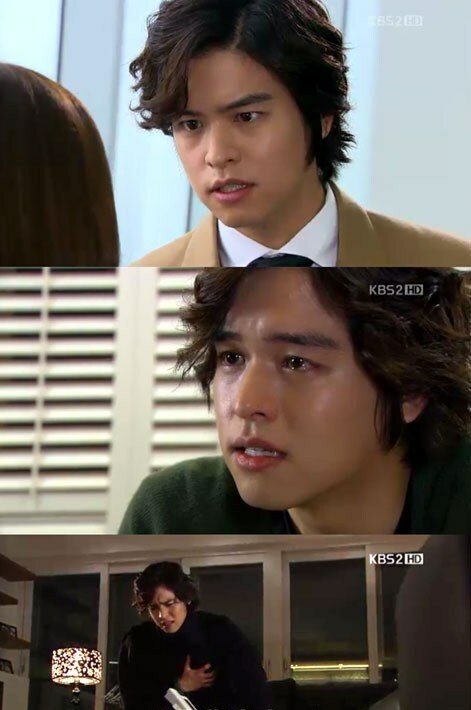 On the 9th episode of Glory Jane broadcast on November 9th, 2011, Lee Jang Woo perfectly portrayed the many complex expressions and emotions of Seo In Woo, attracted viewers’ attentions. On the day’s episode, In Woo is suffering from tic disorder when his past memory comes back to haunt him. He recalled the horrible things did by his father Seo Jae Myung (played by Son Change Min) and been kidnapped by cousin Seo In Chul (played by Park Sung Woon). In Woo also got to know that Yoon Jaein (played by Park Min Young) is the daughter of Yoon Il Goo (played by Ahn Nae Sang). In particularly, when In Woo found out the bag he gave to Jae In as a present when he was a little kind, he said to Jae In, “You’re fired from today. Don’t appear in front of me in the company again,” in order to protect her. The fine and smooth emotional acting of Lee Jang Woo as he turned from a cold-hearted city man to warm hearted man is captivating the viewers. Netizens said, “Lee Jang Woo is getting better in acting,” “Character In Woo is becoming more attractive,” and so on, expressing the praises and the expectations for his future acting.